I contend that the US Supreme Court ruling would be 7 to 2 in favor of upholding The Health Care Reform Act! Chief Justice John Roberts is no William Rehnquist! Roberts is fully cognizant that the Bush v. Gore case literally tarnished America’s last hope for justice and it is my contention that Justice Roberts, would have adjudicated this case based on its constitutionally and not its Politics. Congress’s power to regulate the national healthcare market is unambiguous. Article I of the U.S. Constitution authorizes Congress to regulate interstate commerce. The national market in healthcare insurance and services, which Congress found amounts to over $2 trillion annually and consumes more than 17% of the annual gross domestic product, is unquestionably an important component of interstate commerce. One of the Framers’ primary goals was to give Congress the power to regulate matters of national economic significance because states individually could not effectively manage them on their own. The problems facing the modern healthcare system today are precisely the sort of problems beyond the reach of individual states that led the Framers to give Congress authority to regulate interstate commerce. Opponents of healthcare reform argue that a person who does not buy health insurance is not engaging in any commercial “activity” and thus is beyond Congress’s power to regulate. But this argument misapprehends the unique state of the national healthcare market. Every individual participates in the healthcare market at some point in his or her life, and individuals who self-insure rather than purchase insurance pursue a course of conduct that inevitably imposes significant costs on healthcare providers and taxpayers. 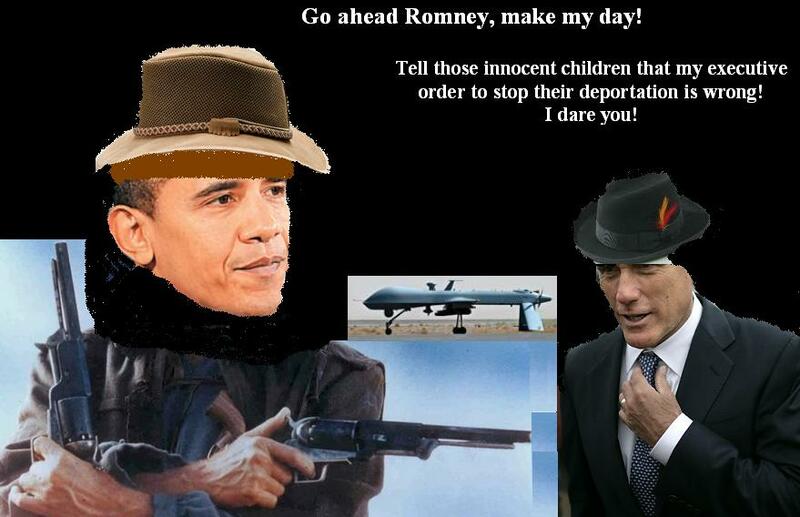 Go ahead Romney, make my day! Former Governor, Mitt Romney and the Republican Politicians were caught flat-footed, when President Obama issued the executive order blocking the deportation of children, who were brought toAmericadue to no fault of their own. As the President explained, this order is a temporary order for only two years at which time he hopes that both Republicans and Democrats in Congress, would work together and legally reform the broken Immigration Policies that would resolve in a humane manner, the plight of the approximately twelve million undocumented immigrants, presently living in the dark shadows. Subsequent to the issuance of the executive order he was severely criticized by Mitt Romney. Romney during the Primaries drove himself so far to the right that he fell off the extremist cliff as it pertains to the Hispanics. For several days he has been asked about the President’s executive order as to whether or not he would overturn the executive order if elected President, and to this minute, Romney’s only response is that when he becomes President, he would devise a long term plan to fix our broken system, but never answer the question about what he would do about the innocent children caught in the middle of this fracas. Like his Republican cohorts, they blame Obama for not having reformed our outdated Immigration Policies. Just imagine; the undocumented immigration problem [can] have been kicked down the road from Ronald Reagan to Bill Clinton. However, despite George W. Bush’s extremely bad Presidency, Former President George W. Bush, Senator John McCain and [deceased] Senator Ted Kennedy, formed an alliance and created a bill known as “The Dream Act.” The extreme right wing in the Republican Party and the extreme left wing in the Democratic Party, literally placed The Dream Act on hold. Subsequent to Obama becoming President, he reintroduced The Dream Act. The Democrats voted to pass the bill but only received support from three Republicans and the bill was and still is held up in Congress. To make matters even worse, Senator McCain who was one of the sponsors of the bill; withdrew his support for the bill he helped to write. It is just my humble opinion that the Maverick, Moderate, Senator, John McCain, who got slapped upside the head in his resounding defeat in the 2008 Presidential Election, has become even more extreme than people such as Newt Gingrich. 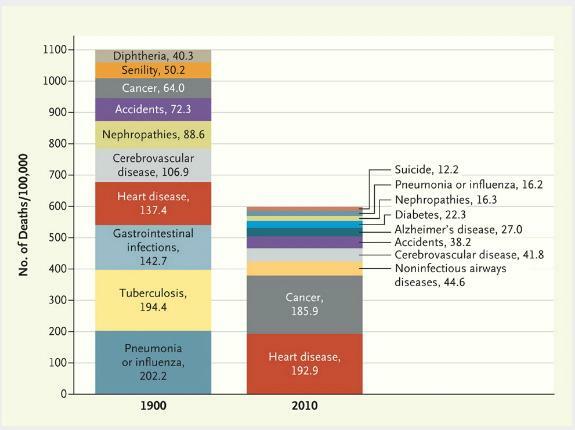 The first thing to notice here is how much our mortality rate has dropped over the course of a century, largely due to big reductions in infectious diseases like tuberculosis and influenza. Doctors agreed that even a near miss by a cannonball — without contact — could shatter bones, blind people, or even kill them (1812f). Reports of spontaneous combustion, especially of “brandy-drinking men and women,” received serious, if skeptical, consideration (1812g). And physicians were obsessed with fevers — puerperal, petechial, catarrhal, and even an outbreak of “spotted fever” in which some patients were neither spotted nor febrile (1812e). 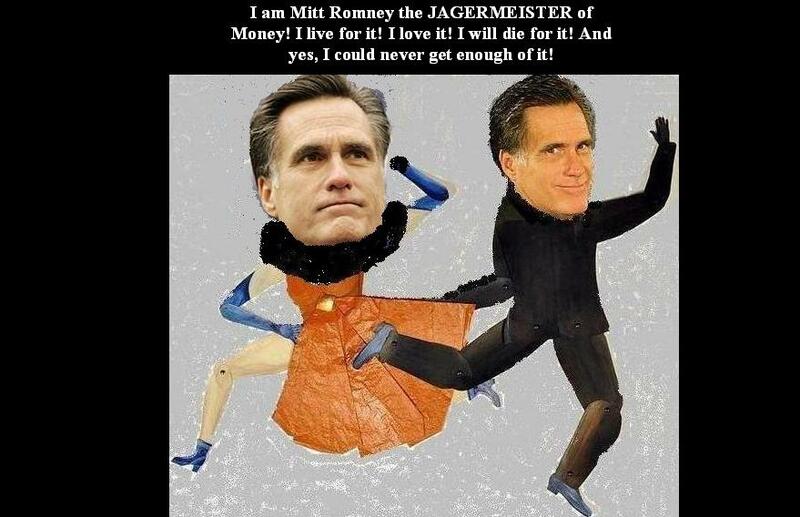 Romney’s 15 Years at Bain Capital, he was a pioneer in companies that moved jobs overseas! Mitt Romney’s financial company, Bain Capital, invested in a series of firms that specialized in relocating jobs done by American workers to new facilities in low-wage countries likeChinaandIndia. While economists debate whether the massive outsourcing of American jobs over the last generation was inevitable, Romney in recent months has lamented the toll it’s taken on theU.S.economy. He has repeatedly pledged he would protect American employment by getting tough onChina. Speaking at a metalworking factory inCincinnatilast week, Romney cited his experience as a businessman, saying he knows what it would take to bring employers back to theUnited States. “For me it’s all about good jobs for the American people and a bright and prosperous future,” he said. Over the past two decades, American companies have dramatically expanded their overseas operations and supply networks, especially inAsia, while shrinking their workforces at home. McKinsey Global Institute estimated in 2006 that $18.4 billion in global information technology work and $11.4 billion in business-process services have been moved abroad. While the export of jobs has been disruptive for many workers and communities in theUnited States, outsourcing has been a powerful economic force. It has often helped lower the prices that American consumers pay for products and created a global supply chain that has madeU.S.companies more nimble and profitable. Until Romney left Bain Capital in 1999, he ran it with a proprietor’s zeal and attention to detail, earning a reputation for smart, hands-on management. Bain’s foray into outsourcing began in 1993 when the private equity firm took a stake in Corporate Software Inc., or CSI, after helping to finance a $93 million buyout of the firm. CSI, which catered to technology companies like Microsoft, provided a range of services including outsourcing of customer support. Initially, CSI employedU.S.workers to provide these services but by the mid-1990s was setting up call centers outside the country. Two years after Bain invested in the firm, CSI merged with another enterprise to form a new company called Stream International Inc. Stream immediately became active in the growing field of overseas calls centers. Bain was initially a minority shareholder in Stream and was active in running the company, providing “general executive and management services,” according to SEC filings. By 1997, Stream was running three tech-support call centers in Europe and was part of a call center joint venture inJapan, an SEC filing shows. “The Company believes that the trend toward outsourcing technical support occurring in theU.S.is also occurring in international markets,” the SEC filing said. Stream continued to expand its overseas call centers. And Bain’s role also grew with time. It ultimately became the majority shareholder in Stream in 1999 several months after Romney left Bain to run the Salt Lake City Olympics. Bain sold its stake in Stream in 2001, after the company further expanded its call center operations across Europe andAsia. The corporate merger that created Stream also gave birth to another, related business known as Modus Media Inc., which specialized in helping companies outsource their manufacturing. Modus Media was a subsidiary of Stream that became an independent company in early 1998. Bain was the largest shareholder, SEC filings show. Modus Media grew rapidly. In December 1997, it announced it had contracted with Microsoft to produce software and training products at a center inAustralia. Modus Media said it was already serving Microsoft from Asian locations inSingapore,South Korea,JapanandTaiwanand in Europe and theUnited States. Two years later, Modus Media told the SEC it was performing outsource packaging and hardware assembly for IBM, Sun Microsystems, Hewlett-Packard Co. and Dell Computer Corp. The filing disclosed that Modus had operations on four continents, including Asian facilities inSingapore,Taiwan,ChinaandSouth Korea, and European facilities inIrelandandFrance, and a center inAustralia. According to a news release issued by Modus Media in 1997, its expansion of outsourcing services took place in close consultation with Bain. Terry Leahy, Modus’s chairman and chief executive, was quoted in the release as saying he would be “working closely with Bain on strategic expansion.” At the time, three Bain directors sat on the corporate board of Modus. The global expansion that began while Romney was at Bain continued after he left. In 2000, the firm announced it was opening a new facility inGuadalajara,Mexico, and expanding inChina,Malaysia,TaiwanandSouth Korea. In addition to taking an interest in companies that specialized in outsourcing services, Bain also invested in firms that moved or expanded their own operations outside of theUnited States. One of those was aCaliforniabicycle manufacturer called GT Bicycle Inc. that Bain bought in 1993. The growing company relied on Asian labor, according to SEC filings. Two years later, with the company continuing to expand, Bain helped take it public. In 1998, when Bain owned 22 percent of GT’s stock and had three members on the board, the bicycle maker was sold to Schwinn, which had also moved much of its manufacturing offshore as part of a wider trend in the bicycle industry of turning to Chinese labor. Another Bain investment was electronics manufacturer SMTC Corp. In June 1998, during Romney’s last year at Bain, his private equity firm acquired aColoradomanufacturer that specialized in the assembly of printed circuit boards. That was one of several preliminary steps in 1998 that would culminate in a corporate merger a year later, five months after Romney left Bain. In July 1999, theColoradofirm acquired SMTC Corp., SEC filings show. Bain became the largest shareholder of SMTC and held three seats on its corporate board. Within a year of Bain taking over, SMTC told the SEC it was expanding production inIrelandandMexico. Just as Romney was ending his tenure at Bain, it reached the culmination of negotiations with Hyundai Electronics Industry of South Korea for the $550 million purchase of its U.S. subsidiary, Chippac, which manufactured, tested and packaged computer chips in Asia. The deal was announced a month after Romney left Bain. Reports filed with the SEC in late 1999 showed that Chippac had plants inSouth KoreaandChinaand was responsible for marketing and supplying the company’s Asian-made computer chips. An overwhelming majority of Chippac’s customers wereU.S.firms, including Intel, IBM and Lucent Technologies. Washington: US President Barack Obama has built up a double-digit lead over his Republican presidential contender Mitt Romney for the White House race, according to a new poll. 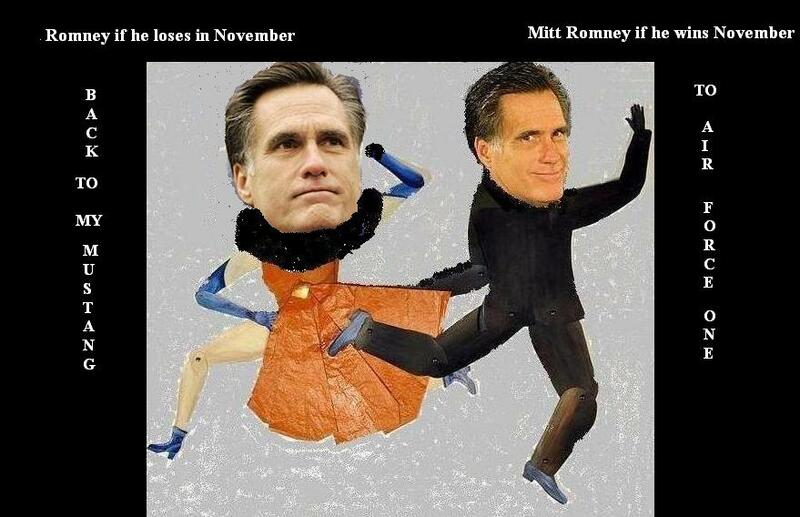 According to the Bloomberg National Poll, Obama leads with 53 percent votes to Romney at 40 percent among American voters. According to The Telegraph, the poll also revealed that almost 49 percent of Americans preferred Obama’s vision of handling the economy, while only 33 percent voted for Romney’s vision of recovery. 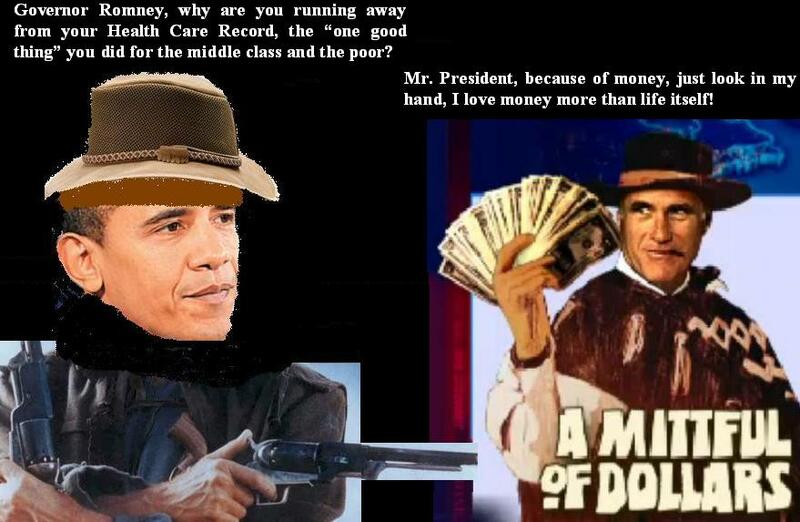 The poll results showed that almost 55 percent voters believed that Romney is more out of touch with average Americans, while 36 percent said that Obama is more out of touch. The poll also showed that almost 45 percent of Americans said that they are better off now than in 2009, compared with 36 percent who said they are worse off. Finally, some good news: Highlights from 2012 CFO Outlook Spring update! CFOs warm on growth. Senior financial executives have a considerably warmer view on corporate performance and theU.S. economy than they did just a few months ago—with 93% of CFOs now forecasting growth in 2012. Rising revenue, employment and prices. 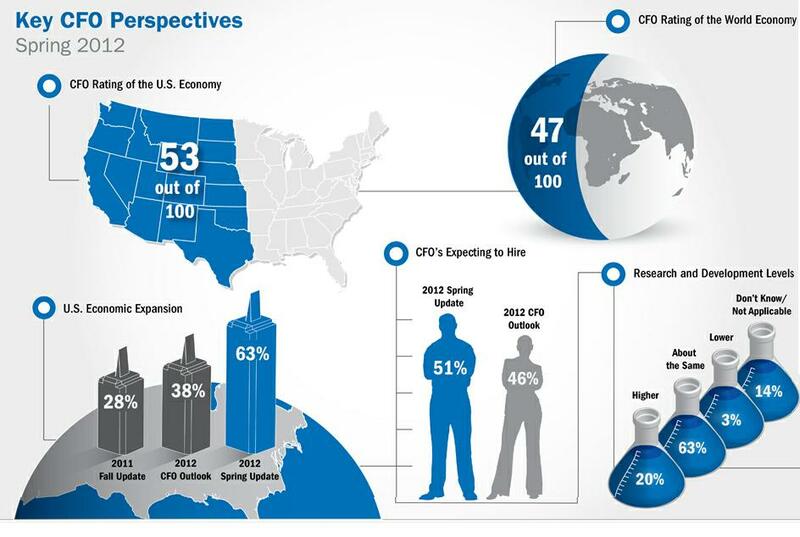 64% of CFOs expect their revenues to rise, half project greater profits and 51% anticipate more hiring in 2012. 57% of companies will be raising prices on their products and services. Oil prices and government fuel concern. In terms of economic impact, CFOs are most concerned about oil prices (65%) and the effectiveness of government leaders (63%). Energy costs (51%) and healthcare costs (51%) are the leading corporate financial concerns. Is sustainable growth ahead? Whether renewed CFO optimism signals a temporary spring thaw or a blossoming upward trend depends on several factors, from rising oil prices and looming legislative rulings to the fall elections. About the CFO Outlook Webcast series Driven by the insights and opinions of financial executives, the CFO Outlook series offers a regular gauge of the health of theU.S. and world economies, and discussion of topics that drive successful business operations. 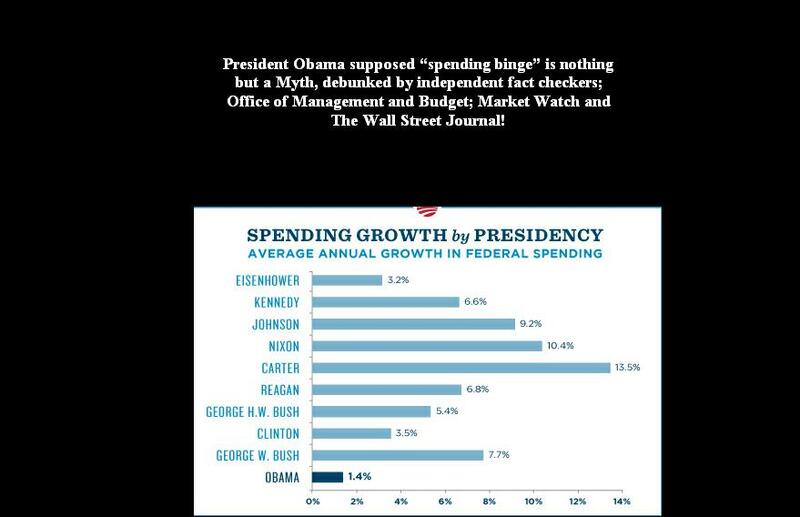 President Obama supposed “spending binge” is nothing but a Myth, debunked by independent fact checkers; Office of Management and Budget; Market Watch and The Wall Street Journal! The truth is, the President’s supposed “spending binge” is nothing but a myth, repeatedly debunked by independent fact checkers. Federal spending growth has actually been slower under President Obama than under any other president since Dwight Eisenhower. President Obama has a plan to reduce the deficit by over $4 trillion, cutting federal spending while still making critical investments in education, innovation, infrastructure, and clean energy. It’s a balanced and responsible approach to creating an economy built to last.